If it is 119, could this be an event related to the Weather Institute? Along with all of these hints to the story and locations, we also got a short look at the new diving animation. Even the opening cutscene seems to be reminiscent of the original games. Or maybe it has some kind of connection to a new Steven Stone encounter? Or will the trainer actually ride the that uses the move? The process is very similar to Mega Evolution though with the cracking and jagged edges, it seems a lot more dangerous. Later on though, we also get a look at the trainer surfing, once again on Wailmer. Could this be a part of Primal Reversion? They can invite you back to their base as well as battle you or access one of your special features like Egg nurturing, which speeds up the hatching process, or even immediately leveling your Pokémon. Will that limitation stay the same? 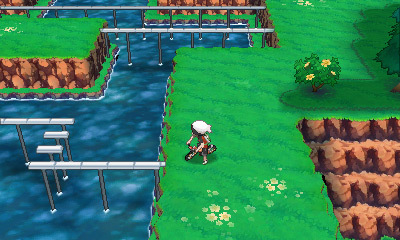 Pokemon Alpha Sapphire just like any Pokemon games in the series has a feature involving secret bases in the game. In the original games, players could not battle in the Secret Bases until they beat the game. This is the one of Steven Stone standing in front of an ancient mural that depicts the cataclysmic events that will occur if the Legendary Pokémon are awakened. Both methods share the most recently saved version of your base to whoever accesses them. . Continuing on, we get a brief look at Mount Pyre as well as Mossdeep City. Speaking of which, we also get to see both him and Kyogre awakening with the cutscene showing the surface of their bodies cracking. And along those lines, it is an intriguing thought that we have yet to see any of the locations introduced in Emerald such as the Battle Frontier. One of the most common things seen in this new trailer is all of the new areas we can see. But the question remains whether this feature will be available before the Elite Four or after. The trainer is actually sneaking through the tall grass in order to presumably grab a Pikachu. Along with those, we get to see the new Team Aqua submarine in action, this time redesigned to look like a Sharpedo. This could be a direct reference to his Primal Reversion form. It seems like it could be the case as eventually the two are encased in a jagged crystal before appearing in their new forms. Each Secret Base you have contains a flag, and each flag you collect daily will increase the level of your Base. Like the original games, the bases can be set up in specific spots using the move Secret Power. And you can even decide whether your Gym will use Single or Double Battles. What exactly is going on here? It mostly seems there to flesh out the story though it does seem that Groudon is much larger here than he actually is. Another curiosity is that more than one person is in the Secret Base. 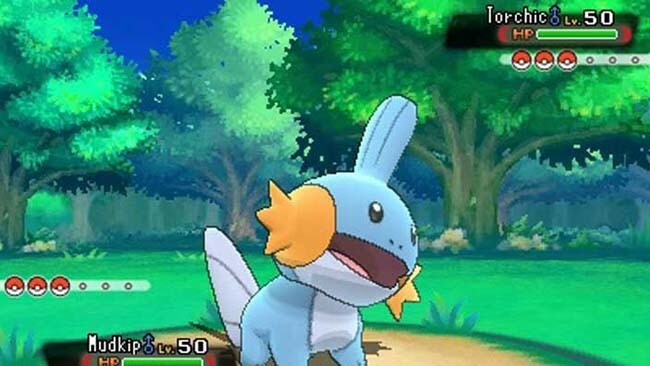 It would be the first indication that the feature is indeed returning for Omega Ruby and Alpha Sapphire. Is Wailmer the default Pokémon now like Lapras was for surfing in older generations? So what did it find? I, personally, feel the same way with the game and its soon to be launching. At the very least, seem to be sticking pretty closely to the originals while still updating features, visuals, and the story. We doubt that the plot involving the two Teams will change much, but the presentation is definitely getting an upgrade. But the last new area is potentially the biggest as we can see the trainer using the Acro Bike to perform some bunny hops. I am predicting this is better than the previous Pokemon X and Y of last year. This hollows out the area and sets up a laptop where you can choose from several options. . . . . .